Erythropoietin alfa is widely used to treat anemia and increase the red blood cells count in the body. Erythropoietin drugs are developed in vitro by extracting the erythropoietin from the human body and developing it through the use of recombinant DNA technology. Erythropoietin drugs are also used to treat anemia induced from cancer, multiple myloma and HIV associated anemia. Recombinant DNA technology has allowed researchers to develop synthetic forms of erythropoietin such as epoetin alfa, epoetin beta, epoetin delta and epoetin omega. The erythropoietin drugs market has witnessed strong adoption in the cancer and HIV associated anemia treatment. The erythropoietin alfa biosimilars have gained significant traction in the past two years and the market will witness the introduction of new biosimilars as the existing erythropoietin drugs undergo patent expiration. As per the WHO report published in 2011, an estimated 800 million people are affected by Anemia globally with large prevalence observed in Asia Pacific and African region. In U.S., the prevalence rate for Anemia is 5.6% which is estimated to increase in the near future as the rate of cancer witnesses a growing trend. According to the study conducted by India Spend, India has the highest prevalence of Anemia worldwide with 10.6% of YLD’s caused due to disability. Factors such as poor sanitation facilities, lack of healthy diet and poverty are responsible for high prevalence of Anemia in the country. The erythropoietin drugs market has seen a dramatic shift from reference drugs to biosimilar with major pharmaceutical companies such as Amgen, Novartis and Pfizer developing erythropoietin biosimilar. The growth is accounted to the fact that biosimilar are relatively easier to develop and less cost intensive which has increased the adoption rate. Asia Pacific region is fastest growing erythropoietin drugs market, with countries such as India and China showing lucrative growth. India has the highest prevalence of anemia in the world followed by China. According to study conducted by Stanford University, an estimated180 million people suffer from Anemia in central and eastern China with the old age population more prone to it. The market of erythropoietin drugs will grow significantly as major pharmaceutical companies continue to expand the drug manufacturing process in countries such as India, China and Japan. Factors such as less stringent regulatory scenario and commercialization of erythropoietin biosimilars in the region will drive the market forward. The key players in the erythropoietin drugs market are Amgen, GlaxoSmithKline, Pfizer, Johnson & Johnson, Novartis, Biocon, Ranbaxy Laboratories and Teva Pharmaceutical ltd. Due to the high cost associated with the development of innovator drugs and the patent expiration of the first erythropoietin drug launched by Amgen, the major players in the market are introducing erythropoietin biosimilar in the market with major focus on darbepoietin alfa drug. Key biosimilar such as NuPIAO, KRN321, ErepoXen and JR-131 are present at various stages of clinical development. The market is consolidated in nature and the key pharmaceutical companies will aim to introduce erythropoietin drugs in under-penetrated markets such as India, China, Japan and U.S. to stay competitive in the market. 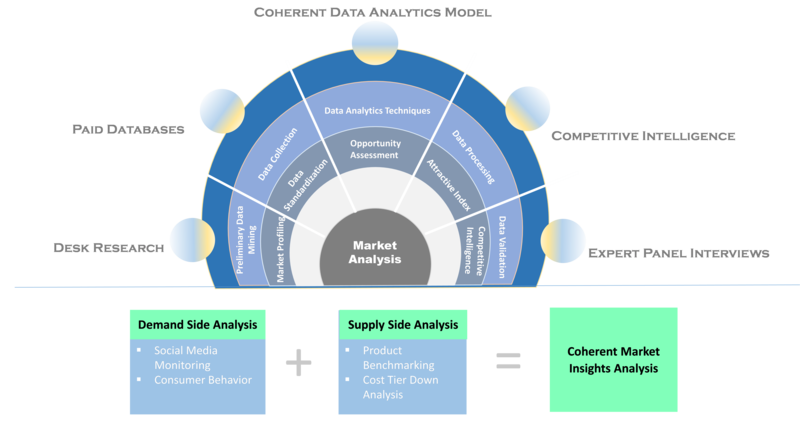 In addition to this, Coherent Market Insights has access to a wide range of the regional and global reputed paid data bases, which helps the company to figure out the regional and global market trends and dynamics. The company analyses the industry from the 360 Degree Perspective i.e. from the Supply Side and Demand Side which enables us to provide granular details of the entire ecosystem for each study. Finally, a Top-Down approach and Bottom-Up approach is followed to arrive at ultimate research findings. National level desk research: It Includes research analysis of regional players, regional regulatory bodies, regional trade associations, and regional organization. Multinational level desk research: The research team keeps a track of multinational players, global regulatory bodies, global trade associations, and global organization. Governmental bodies, National and international social welfare institutions, and organizations creating economic policies among others. Trade association, National and international media and trade press. Company Annual reports, SEC filings, Corporate Presentations, press release, news, and specification sheet of manufacturers, system integrators, brick and mortar - distributors and retailers, and third party online commerce players. Scientific journals, and other technical magazines and whitepapers. The raw data is obtained through the secondary findings, in house repositories, and trade surveys. It is then filtered to ensure that the relevant information including industry dynamics, trends, and outlook is retained for further research process. Holistic approach is used to ensure that the granular and uncommon parameters are taken into consideration to ensure accurate results. The information from the paid databases are further combined to the raw data in order to standardize it. 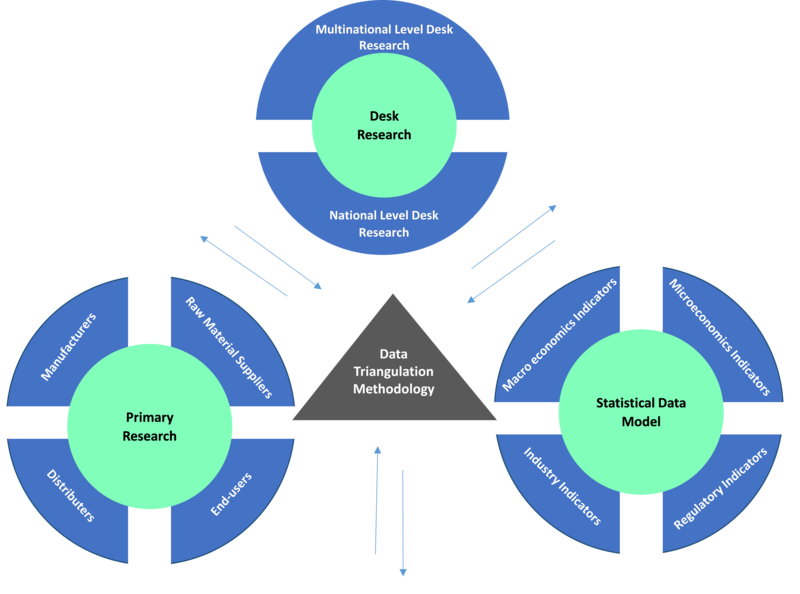 Once the findings are derived from the statistical model, large volume of data is process to confirm accurate research results. Data analytics and processing tools are adopted to process large chunk of collected informative data. In case, a client customizes the study during the process, the research finding till then are benchmarked, and the process for new research requirement is initiated again. It provides first-hand information on the market dynamics, outlook, and growth parameters. Industry experts validates the estimates which helps the company to cement the on-going research study. Primary research includes online surveys, face-to face interviews, and telephonic interviews.